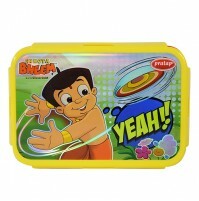 Chhota Bheem design lunch box is perfect for school, travel and day out. 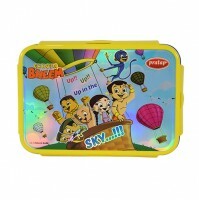 The favorite cartoon character print on the box makes it fun for kids to carry. 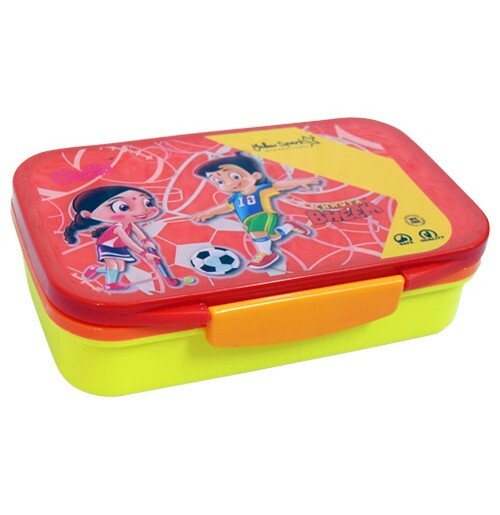 This lunch box is very easy to open. 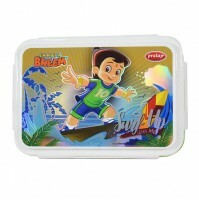 The small container with this box helps in proper packing of the food. The spoon and fork will make it easier to eat. 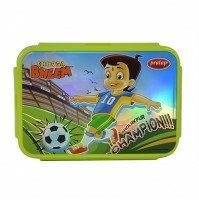 This lunch box is equipped with insulation, which will keep the food warm. Easy to wash and clean. Made of good quality BPA free plastic. It will easily fit into a backpack.